Cutting up some Pure Elements for a custom quilt order. Finished a new baby quilt for my etsy shop. I can't get enough of the "plus" layout! This 1001 Peeps print is the best purple! Messing around with the layout of this quilt. This isn't my final decision, but I think I am sticking with the cool colors on the outside and warm on the inside. 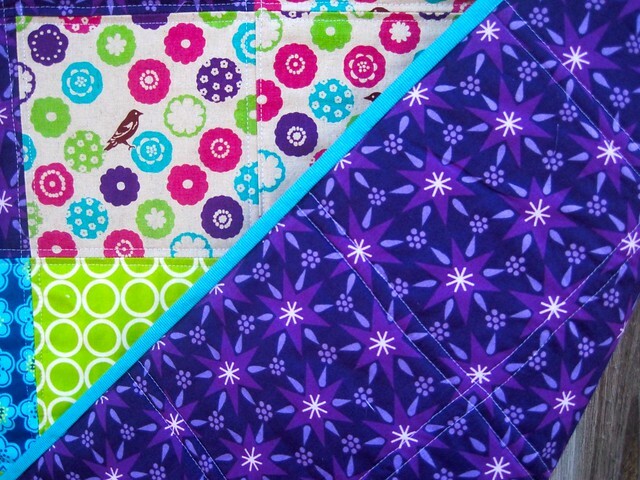 Pattern is Basketcase by Cluck Cluck Sew and made with a Kona jelly roll. I'm thinking of adding a white border then a border of Remix stripe in Spring. I don't suppose anyone has a chunk of that they'd like to swap? Yummy solids! And I love love love your + quilt. I need to make one already! 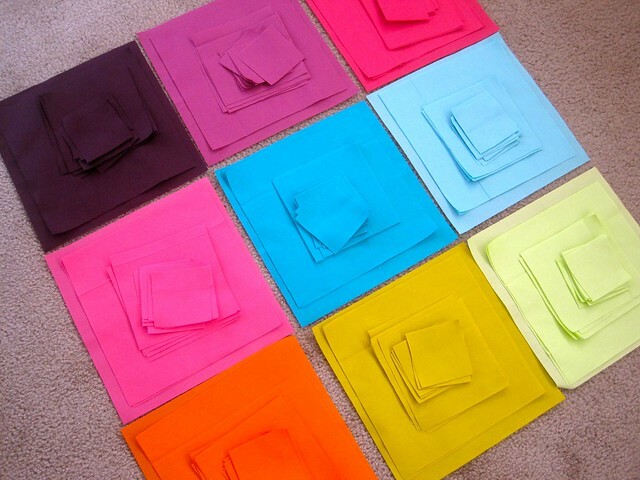 Are you doing a square in square with the solids? They look so pretty! 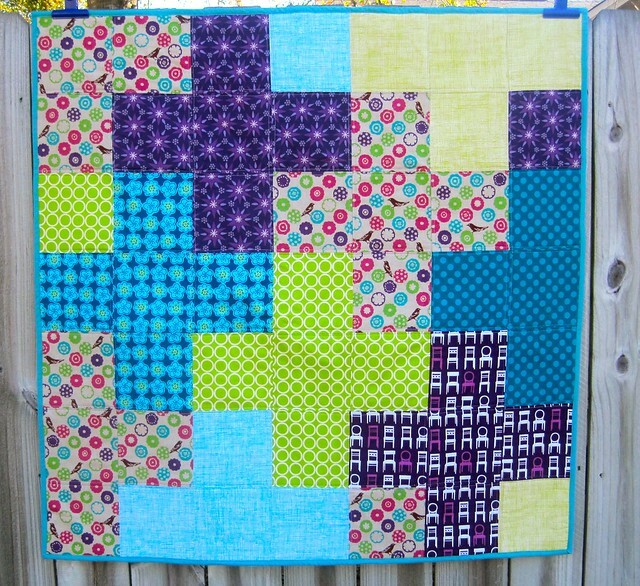 lots of eye candy in this post - seriously love those solids! 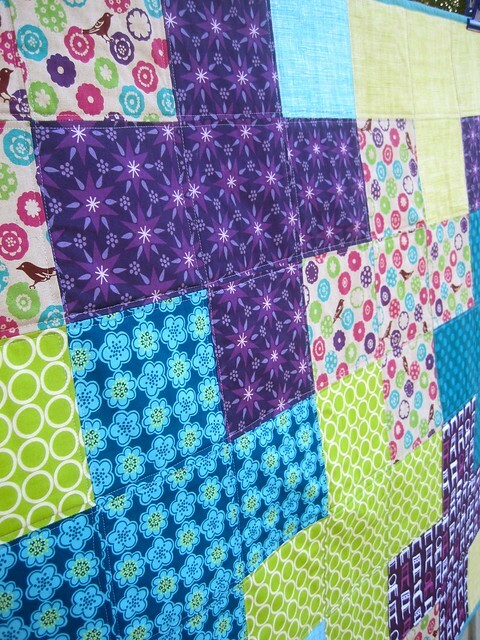 Dear buyer, please DO NOT let a baby puke on that quilt!! The Pure Elements are such great solids! And I do love your plus quilt. I want to make one soon; the pillowtop I made didn't satisfy my craving! 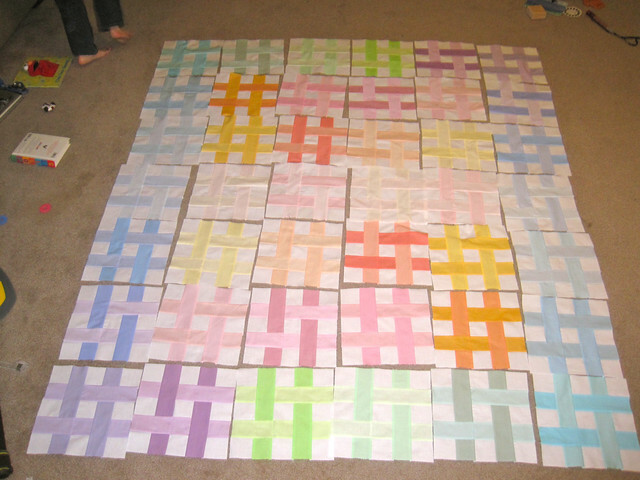 i need to make a plus quilt. like yesterday!